Put Your Brain to Work FOR you... Don't Let it to Continue to Work AGAINST you. This Crash Course is the fastest and easiest way to learn, remember and master the skills necessary to take your success up to the next level and beyond. It is the equivalent of reading 4-5 entire books each day... with just a 20-minute commitment of your time. Best of all, it is highly EFFECTIVE, ENGAGING and FUN! You can virtually reprogram your brain for greatness in the next 100 days... and we will prove it! Accept The Excellence Habit Challenge — Normally $199.95 SAVE $50 right now! The single biggest predictor of success is your commitment to EXCELLENCE, and an unwavering belief that EVERYTHING matters. Steve Jobs said it best, "The only people who change the world are those crazy enough to believe they can." So, here's a crazy idea. Let's rewire your brain for success... starting right now! The hallmark of the "Crazies" is an unconditional commitment to excellence and a complete rejection of mediocrity. Nurture The Excellence Habit™ and you will gain the power to change your world. Crazy! You can achieve success beyond your greatest expectations starting right now. Excellence is not a throwaway buzz-word. It is the recognition that everything matters. It is the recognition that true joy comes from our intentional pursuit of excellence and the total rejection of mediocrity. Over time we start to look at our lives as they are... sometimes positively... sometimes in regret. To men around 45-50, that question is, "Is this all there is? I've spent 20-30 years of my life getting what I got — it just doesn't seem enough for all the ups and downs." "I thought I would be rich by now... I thought I would be living my dreams. What happened to all that time?" To woman 48-55, the question is completely different, "If not now, when? I've spent my life doing what others wanted from me, and now I want my turn." "I thought I would be truly happy by now... living what's meaningful to me. What happened to all that time?" Now is a good time to think about this. 100 days to get ready for the big opportunities. 100 days to change your mindset from "just enough" to "WOW, now THAT'S what I have been wanting all along!" You may be doing just fine... but why not end the year doing GREAT? Put yourself back on track for wealth... power... and true happiness. Join us for this incredible program now! Want to be happy and successful — both? Then increase your belief in what's possible and decrease your doubts. Which is why we created the 100 Day Excellence Habit Challenge — produced by our Invisible Billionaire Avatar™, Tommy (TQ) Quinn! Are you on the path to your destiny, heading fast towards the success you desire? How do you know... actually KNOW... not just suspect? There are many paths that lead to enduring success —wealth, power & happiness —but all require extraordinary personal performance. Which is where our unique brand of training comes in. The big WHY behind TQ is actually pretty simple. We believe that people get ahead through desire, talent and skill. The question then becomes, "Are you turning your natural gifts and talent into the hard-edged skills needed to achieve all your dreams and goals?" So, do you have the DESIRE for higher achievement? You're are in the exact right place! Here you will, in just 100 days, Master your Fundamentals... and incorporate real training into your life... one day at a time. It's fun, fast, easy and highly effective. 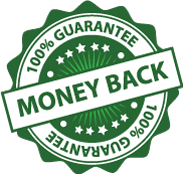 In fact, we even guarantee it! Like an Olympic champion, you will Train to Train and learn to create the powerful RESULTS you desire. You've heard of the 7 habits of highly effective people. But what you might not realize is that there's a SINGLE HABIT so powerful, that it will change your life, and the lives of every person you love. Your team. Your Company. Everyone. Crazy! Even crazier, it will rewire your brain for success rather than mere survival... training your brain to work FOR you rather than AGAINST you. In about 20 minutes each day. The Excellence Habit Challenge is for people with a HIGH DESIRE for achievement... people who want MORE out of life: Money... Meaning... Happiness... Career Growth... Control... Power... whatever is truly IMPORTANT to you. Your Challenge takes just 1 HOUR to get going and can be started anytime, under any circumstances and produces incredible RESULTS... crazy fast. 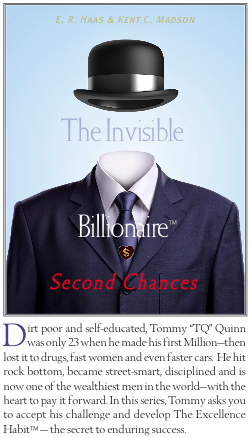 To build interest, inspiration and motivation, we created a story line around a man we call Mr. Tommy (TQ) Quinn, AKA The Invisible Billionaire. All you need to do is accept his challenge, and in 100 short days you will habitualize a simple step-by-step — ONE-A-DAY — action sequence that leads you to a heightened level success. For most people, this takes 3 minutes each morning and 15 minutes during the day. Simply crazy and crazy simple! Nothing is easier or more effective. on this page, but it all comes down to this... give us the next 100 days and you will be educated, trained, coached, motivated, coaxed, cajoled and inspired to break free from your status quo limitations and truly accelerate your climb to the top. What Do You Get For The Money? Priceless Training! The entire value of this program is in learning to use the substantial TQ tools you have available during the 100 Day Challenge... especially the TQ DNA's for each Factor of your performance. MENTORING. Everything is geared around receiving a short, highly instructional and motivational story from your Mentor, Tommy (TQ) Quinn, AKA The Invisible Billionaire. 100 Days, 100 explicit directives one day at a time. FUN. EXCITEMENT. ILLUMINATION. Training is all about developing an elite level of performance. Coaching is about using your training to fulfill your dreams and goals. LIVE COACHING. You are also asked to participate in a LIVE Q/A COACHING call every two weeks or so. Every question you have is directly answered by experts. This is the cure to the feeling of overwhelm and lack of accountability. PODCASTS. Our conference calls are always recorded so even if you miss one, no problem. In fact, your private Syllabus page contains several MONTHS of prior recordings that you may download and listen to at anytime. KEY ACCESS. You also receive advanced TQ Gold Member access where you will get to know the "real you" better than you ever thought possible. Each day you will be given 5-8 Key Ideas specifically illuminating a particular Factor of your performance. You will also respond to 18-21 short, but highly insightful questions we call TQ IQ's (Integrating Questions) as you listen to the day's short audio clip. In a matter of minutes, not hours, you will take in more useful information than if you read 4-5 entire BOOKS on the subject... DAILY. In fact, it is this flood of ideas that reprograms your sub-conscious for success. See full details below. POWER OF TQ. Additionally, you get a fresh copy of your made-to-order edition of The Power of TQ. This will be your baseline evaluation for change. When your Challenge has been completed, you will be asked to test your TQ again and see how far you have come. Most people add a good 30-40 points to their TQ... which is enough power to change the direction of your life. A SINGLE HABIT. What we do NOT want you to do. We do not want you to start working on specific areas of your performance such as Mission, Goals, etc. That will unfold during your Challenge. But the key is in developing a SINGLE HABIT. You will learn that it takes some 66 to 100 days to INCULCATE A GOOD HABIT INTO YOUR ACTIONS. Our objective is to train you to take SMARTER ACTIONS for the rest of your life... not just fix a weak color. EXPLICIT DIRECTIONS. If you are capable of following simple directions, this Challenge will change your life. We even have a lot of folks who claim to have a bad case of ADHD who do well — simply because it is so highly structured and help is always available to you. KEY IDEAS. Finally, over the next 100 days you will be EXPOSED to 1,000 unique Key Ideas and some 2,000 TQ IQ's — dosed out in short bursts each day. You will have listened to 20 hours of specific instructions and received exactly 100 explicit mandates for taking a simple action. REAL TRAINING. This is real training, not "edutainment", "infotainment" or a new age, mystical philosophy you must adopt. Your faith, spirituality or beliefs are not the issue... it's the actions you take to produce the results you want that is our sole provence. If you believe the universe wants to manifest prosperity into your life, great! This is the Universe telling you that to get what you want you need to eliminate the survival/mediocrity way of thinking and adopt The Excellence Habit™! A WINNER'S MINDSET. The Universe (as well as your boss, family, clients, church, community, etc.) wants you to become all you are meant to be... to work smarter... compete smarter... and WIN. So in the end, what you get for your hard-earned money is to put a terrific edge on your performance and start to unleash the winner within! Ultimately, it is in this full integration of information (sight, sound, motion and emotion) that the change you are looking for actually happens. This is WHY we say that this is for HIGH ACHIEVERS who may currently be UNDER ACHIEVING. The key to EVERYTHING... your happiness... your sense of wellbeing and meaning... career growth... financial success... everything... comes down to this: habitually, instinctively, intuitively and automatically do more of the RIGHT THINGS... For the RIGHT REASONS... in The RIGHT WAY... At the RIGHT TIME. You've heard this your entire life and it's simple on the surface. However, it gets real deep real fast. What should I be doing with the one life I have to live? How do I become a success, and do it on purpose? What gives me a tremendous sense of passion, purpose and meaning? Am I really doing the right things, for the right reasons — most of the time — or am I just kidding myself? Accept the Excellence Habit Challenge and you will have the answers to these questions in hours, not years. In fact, some 85% of the people we initially test have no clue what the right things to be doing actually ARE... and WHY they should be doing them. This "cognitive disconnect" keeps people from achieving up to their full potential — because they don't even realize they have a problem! The sad truth is, most people THINK they are good at their 4 R's — BUT — in study after study over the years, we have found that's not the case. So, why do we find it so hard to consistently do our 4 R's? The answer is profoundly simple: Because there is, in fact, a dark force holding us back from making the right choices and taking the right actions... habitually. This force is so powerful that it controls your thoughts, emotions and actions — and until now — you probably didn't even realize it. This force is responsible for keeping you constantly in the SURVIVAL mode... and firmly holds you back from moving up towards HAPPINESS or SUCCESS. The science behind this is amazing. Neuroscientists have now proven that your BRAIN is actually standing between you and peak personal performance... because it is hardwired for SURVIVAL... not SUCCESS or HAPPINESS. Rewire it, you WIN. Remain in Survival Mode and you will never move much beyond where you are right now. Only you can say if that's a good thing or not. This TQ Crash Course is the most unique fast-track to high achievement ever developed... and represents a RADICAL new approach to helping you achieve MAXIMUM success. 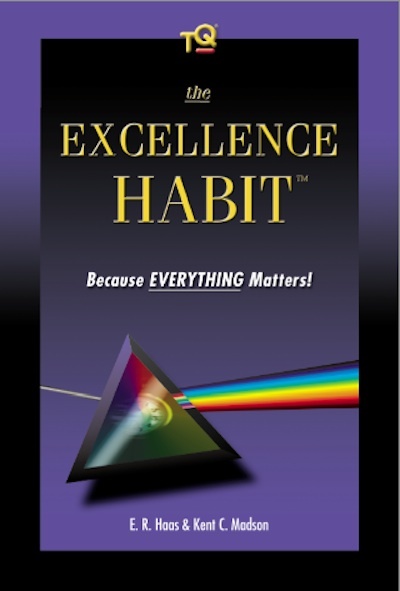 The Excellence Habit Challenge is the highest value, lowest cost program of its kind ever developed. It works by training you to grow a single habit deep within you. We use every tool imaginable, all seamlessly integrated into the "TQ Total Immersion Experience," to provide you with a simple to do, easy to understand and fun way to habitualize excellence as your prevailing attitude. The results are astonishing. In just the first week you will learn more about YOU than you have in the last 20 years. You will become immersed in positivity... which will inspire and motivate you to achieve more each day. During these 100 days, you will see what you must do differently to create the future of your dreams. You will systematically rewire your brain for Success... in just 3 minutes each morning... and 15 minutes each afternoon... permitting The Excellence Habit™ to grow deeply within you. The Excellence Habit Challenge is based on proven science, not theories or stories. You simply listen and learn... read and respond... and you will open a whole new path to the "real you" locked inside of you... screaming to be let out! A Radical Shift in Your Thinking... one day at a time. Over the last 20 years, ThinkTQ has become the world's leading publisher of virtual training products for personal and professional excellence — the ONLY company with the tools and technology to systematically train you to outstanding achievement — in 3 simple steps: Self-Measurement... Self-Evaluation... and Self-Improvement. Our approach is systematic, measurable and sequential... GUARANTEED to help you break free and break out of all self-imposed limitations you have put on yourself. Put simply, our charge is to make it easy for ordinary people to produce extraordinary results — in far less time — so you can rapidly achieve the success you desire... and do it on purpose. Your POTENTIAL coupled with our TOOLS creates the magic of CHRONOLOGICAL ALCHEMY... turning your TIME into pure GOLD. Everybody has a Midas Minute occasionally. Our job is to give you that Midas Minute a great deal more frequently... several times a day, in fact. No question, improving your TQ is the fastest and easiest way to achieve ALL your dreams and goals. The great news is that we have created a fun new program that will, in just a 100 day dash to success, change the very fabric of your future. The power to enrich the lives of everyone you love. To Achieve Maximum Success ~ Rewire Your Brain! Over the years we have offered many groundbreaking solutions to the age old problem of helping people reach their full potential — Fast. But, none even comes close to this amazing new TQ Crash Course in Maximizing Personal and Professional Success. You simply sign up, follow the daily lesson plan and you dramatically alter your thinking — yes, automatically. By injecting and inculcating new ideas, you are actually rewiring your brain... increasing your propensity for success (see below.) Without question, this is the fastest and easiest way to learn, remember and master the best ideas, from the best brains on the planet. Guaranteed! This is a radical new approach to giving you the keys to the life of your dreams. For some, it might foster newfound hope in the future. For others, it will give them the momentum they need to turn their gifts and talents into hard-edge skills with which they will achieve ALL their goals. Everyone will actually shake up any status quo, business as usual thinking — disrupting your comfort zone — as we personally walk you through the nuances of this engaging program. This Crash Course is normally priced at $199.95 and worth 100 times the price. Today, you SAVE $50 and receive true life-transformation for just $149.95 + S&H. It's like having a personal coach on call 24/7/365... with real people giving you real direction in a 100 day dash to the success line. A Fun Daily Regimen That Truly Works! This Crash Course is like reading 3-5 entire books a DAY, gleaning just the most inspiring, motivational and transformational gems of wisdom from each. The great news is you do it in less than 20 minutes a day! You will invest just 3 minutes each morning to engage at a low level with Today's Daily Lesson in Excellence, listening to the day's Midas Minute audio, and answering 3 simple questions before you start your day. Without doubt, the questions you ask yourself become the answer. In fact, YOU become the answer! Each evening, you will "Debrief" your day in just 10-15 minutes by completing the Factor Lesson Plan... 5-10 great ideas for success combined with some 18-20 specific IQ's (Integrating Questions) about how you are doing in this area of your performance. Over just 100 days, you will confront the REAL YOU in a way that was not previously possible... you will be exposed to some 1,000 great ideas for action... and answer about 2,000 unique questions. It's EASIER than any journal you have ever done, and most of all, it's FUN! to minutes a day, rather than weeks or months, you learn, remember and master ideas that are the mainstay of enduring success. Once every 2-3 weeks we all meet on a one hour Master Mind conference call to discuss results, answer specific questions and hold you accountable for your progress. (Recorded for you to listen to over and over again, or in case you miss a session.) PRICELESS! In a way, this is much like hitting the gym to grow stronger and gain endurance. Instead of flexing your muscles, we give your brain a healthy workout each day — giving you new ideas you would never think of on your own, while at the same time, drawing you out of your personal self-imposed comfort zone. This experience is exactly like total immersion conditioning, where you maintain deep mental involvement over a relatively short period of time. The RESULT? You learn more faster and retain it longer! This program is equivalent to READING, EXTRACTING, DISTILLING and CONDENSING the incredible knowledge in 3-5 ENTIRE BOOKS on the subject of goals, passion, purpose, focus, leadership, getting things done, change management, positive thinking and much much more... EACH DAY. Without this TQ Crash Course in Success, it would be simply IMPOSSIBLE for you to inject this timeless wisdom into your brain... even in a lifetime. No, this is not MARATHON learning. It is more like a high speed SPRINT for 100 days where you gain a heightened awareness of the importance of each Color to YOUR life. As you flood your brain with positive ideas — even if you don't feel you are acting on them in the moment — you are building a powerful neural net — what neuroscientists call "Nets of Meaning." You succeed, simply because, down deep inside you, you now EXPECT to succeed. Numerous studies at Berkeley, Stanford and Harvard hold the clue to you rapidly breaking free of your personal limitations. You might even think of this as Break OUT thinking — TQ Style! Negative Bias is our most basic survival instinct. It keeps us from danger by storing all kinds of negative things that happen to us over time. This is not the same as negative thinking, but rather, describes the way our brains are actually wired. After a hundred thousand years of avoiding snakes, rushing water, desert heat, etc. our brains are naturally wired to hold on to the negatives much longer than anything positive that happens to us. The take away: Negatives stick like VELCRO... Positives stick like TEFLON. This is why we remember a hurtful criticism or slant far longer than a pat on the back. Or, why we freeze up in the face of even meaningless fears. Neuroscientists have now proven — with repeated tests that span the globe — that our brains are OPTIMIZED FOR SURVIVAL... not SUCCESS. But, the good news is that with constant reinforcement with our spaced-repetition approach to implanting powerful ideas in your mind — directly — you can actually overcome this tendency to draw back when opportunity appears. Likewise, these scientists have also found that our brains are wired to solve new problems — favoring familiar, but old worn out solutions. This is a huge deal and explains why most people THINK they are making the grade while they are slowly falling further behind! The notion behind Cognitive Bias is simple. In a current article in Scientific American, Why Your First Idea Can Blind You to a Better One explains that while we are working through a problem, the brain's tendency to stick with familiar ideas can literally blind us to superior solutions. We will shake this up so you are constantly seeking the BEST approach to any problem you face. To sum up this groundbreaking research, Cognitive Bias can prevent even the most talented players from seeing the swiftest path to victory. Simply put, we continue to keep working what we THINK is working when there are far better alternatives and solutions instantly available — by just a quick shift in perspective. Undoubtedly, this is what Alan Kay was thinking when he observed, "Point of view is worth 80 IQ points!" It's that times have changed. You must develop the hard-edged skills to out-hustle... out-smart... out-compete... out-think... out-communicate... out-lead... out-perform... and out-produce your competition — regardless of who he or she may be... or where they are — the next cubical... next office... next building... next city... next state... or in a country half a world away. But you CANNOT continue with a good enough, business-as-usual mind set. This will get you killed in this economy. You must change your mind set and unleash your INNER-WINNER. Do this and you will not only SURVIVE, you will THRIVE. Over the years, we have found that many people THINK that success is a MYSTERY... that it is somehow mystical why some people succeed brilliantly... where others just struggle to make it payday to payday. The truth is that success is a PROCESS... and we will, in the shortest sprint to success ever conceived — just 100 short days — completely DEMYSTIFY this process. You will have a greater understanding of the forces driving your successes and failures in this time, than by reading another 1,000 books on the subject! It's time to take your performance seriously. It's time to listen to real experts... not gloom and doom prognosticators. It's time to focus on the treasure... not your troubles. It's time for you to find out exactly where you stand, and what you need to do faster... better... and smarter. Order this item today for only $149.95!